The Northern California Nanotechnology Center (NCNC) is a world-class research, development and teaching facility for micro- and nanotechnology located at the UC Davis College of Engineering. 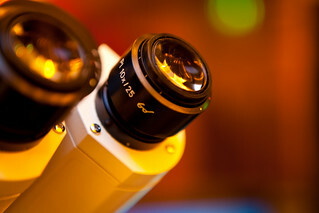 Founded in 2004, the laboratory – a 10,000 square-foot, class 100 cleanroom facility – is dedicated to fostering and promoting research, development and teaching in the field of micro- and nanotechnology, as well as providing an effective environment for non-traditional applications of classical microfabrication. NCNC supports the robust interdisciplinary research environment at UC Davis in disciplines ranging from engineering to life sciences. The laboratory continually develops fabrication methodologies for electronic, optical, mechanical, chemical, biological, environmental, and bio-medical applications. NCNC is available on a recharge basis to UC Davis students, faculty and staff, as well as industrial users.